iPhone 5S to come in colours? 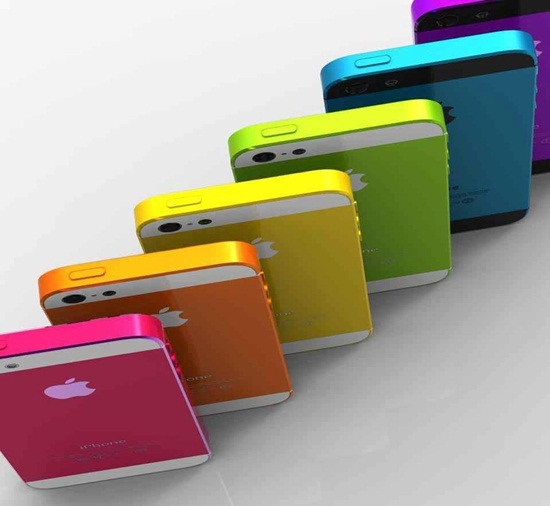 As rumours continue to spiral around the prospective specs and a release date of the iPhone 5S, the latest speculation to come from the rumour mill is that the new device will be available in an array of colours. It’s thought that Apple is planning to offer the handset in colours similar to its iPod Touch line – black, white, pink, yellow and blue…but as ever, the tech Giant is keeping tight-lipped! Experts are tipping an unveiling of the new iPhone to go ahead as early as this summer with many rumours that it will don a similar design to its predecessor but will boast an improved camera and processor. It’s also said to have fingerprint recognition technology – sounds like something out of a bond movie! Another unconfirmed report which has been a high talking point in recent months, is that Apple is also working on a budget iPhone. Indications are that it too will come in a variety of colours, but the big question is, will it be unveiled alongside the iPhone 5S? Something to give the big boys a run for their money….